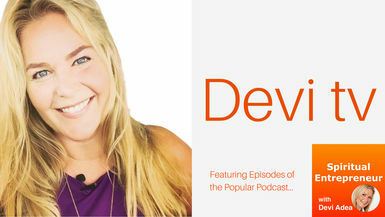 (Septemberfest) In this episode, Devi chats with Lea Bayles about “Creating a Soul-big Life”. Lea Bayles is a holistic wellness expert, leadership mentor, speaker and radio show host. Recovering from an immune system crash woke her up to the extraordinary power of healing within and led her to a 20-year career in holistic wellness. Entrepreneurs, creatives, and change-makers hire Lea when they realize they are playing a too-small game and they want to expand into the creative power, joy, and magic of their true potential. Lea blends a master’s in psychology with extensive experience in education, spirituality, theater, energy medicine, mind-body healing, and expressive arts. She is the host of the We Are More Radio Show and has created numerous meditations, interview series, articles, spoken word performances, and the popular guidebook, Take Back Your Life: Moving from Chronic Pain to Lifelong Healing.